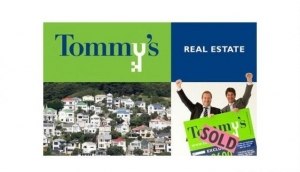 Wellington Real Estate, like the rest of New Zealand, is surprisingly easy to navigate. In 2011, the average length of time taken to close a deal, was just 34 days. While CBD apartments and houses remain at a premium, if you look to the suburbs, you can find a real bargain. In the east, places like Miramar and Hataitai have seen the most dramatic fall in prices, but the areas themselves are still pretty, green and easy to commute to. Lower Hutt is worth a punt, and also the western suburbs of Highbury and Northland. Porirua remains desirable, for its community feel, scenery and bay location. If it's the CBD you want, though, Wellington Harbour is where it's at. Don't forget to investigate pretty Petone, plus the eastern bays around Eastbourne. Here, you'll get the awesome Welly skyline, with the peace and quiet of the country.